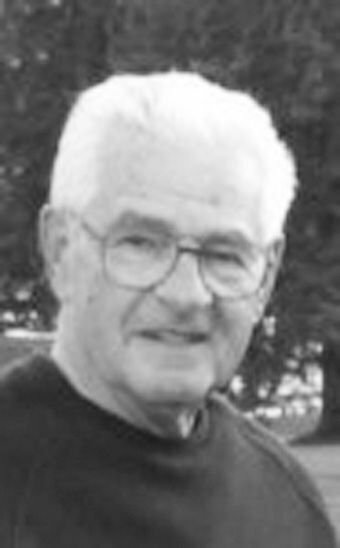 John Bernard (Bernie) Hannam, 80, of Gresham, Ore., passed away Wednesday, March 13, 2019. Bernie was born Dec. 16, 1938, in Melrose. He was the son of Edward and Madelyn (Lutrell) Hannam. Bernie grew up in Iowa, served honorably in the U.S. Army stationed in Germany. He then spent his remaining years working in the banking industry in Omaha, Neb., and retiring to Gresham, Ore. He married Penny Eileen (Burson) in May 1989. Bernie (Bapa) loved bowling and playing golf usually capped with a steak dinner. He was a fan of Nebraska Huskers football and enjoyed watching them as well as golf on television. Above all he loved spending time with family on weekend beach getaways or just hanging out for a BBQ. His quick wit and infectious laugh will be missed and his laid back, common-sense approach to life was a lesson to all those who knew him. Though he will be greatly missed, his family takes comfort in knowing that he has been reunited with his wife, love of his life, who he has missed every day since her passing. He is survived by sons Steven (Lynn) Hannam of Tillamook, Ore., David (Shawna) Hannam of Omaha, Neb. ; daughters Lisa (Tim) Lustgraaf of Council Bluffs, Corinne (Peter) Subotich of Wauwatosa, Wisc. ; step son Ronald (Rebecca) Markworth of Portland, Ore.; step daughters Laura (James) Downing and Kimberly (Steven) Maguire of Happy Valley, Ore.; grandchildren Kaitlin Thompson of Tillamook, Ore., Breanna, Stephen, Melina and Nico Subotich of Wauwatosa, Wisc., Matthew, Benjamin and Nicholas Lustgraaf of Council Bluffs, Logan Hannam of Omaha, Neb., Wyatt and Hannah Downing of Happy Valley, Ore., Liam Maguire of Happy Valley, Ore.; great-grandson Brock Williams of Tillamook, Ore.; brothers William (Linda) Hannam of Des Moines, Thomas (Patty) Hannam of Albia; sister Alice (Jack) Reynolds of Lebanon, Tenn.; and many nieces and nephews. He is preceded in death by his wife Penny Eileen (Burson) Hannam; parents Edward and Madelyn (Lutrell) Hannam; and two brothers, Edward and Timothy Hannam. A celebration of life will be held at a future date. Family and friends will be notified.